FORBES’ annual ranking of the finest countries for capitalism has ranked Zambia the seventh best country for doing business out of 54 African countries. Forbes has also rated Zambia as one of the world’s fastest growing economies for the last 10 years, with real gross domestic product (GDP) growth averaging between six and seven percent each year. Mauritius takes the number one in Africa followed by South Africa while Morocco is third with Botswana in the fourth position in Africa. Cape Verde is fifth followed by Rwanda and Zambia in seventh position. Ghana is one rung below Zambia taking number eight with Senegal and Tunisia in the ninth and 10th positions, respectively. “Globally, the top 10 [globally] were Denmark, New Zealand, Norway, Ireland, Sweden, Finland, Canada, Singapore, Netherlands and United Kingdom. “This rating saw global giants such as the United States of America slipping down due to shareholder governance and tax issues,” the report reads in part. The report states that privatisation of State-owned copper mines in the 1990s relieved Government from covering mammoth losses generated by the underperforming industries. It adds that this greatly increased copper mining output and profitability, spurring economic growth. “Copper output increased steadily from 2004, due to higher copper prices and foreign investment, but weakened in 2014 when Zambia was overtaken by the Democratic Republic of Congo as Africa’s largest copper producer,” it reads in part. And University of Zambia (UNZA) lecturer Euston Chiputa has said that the ranking of Zambia as seventh best country in Africa for doing business is commendable. Dr Chiputa said the ranking means that Zambia is still one of the best destinations for investment despite the economic challenges the country is going through. “Some people have tried to paint a picture that Zambia is the worst country to the outside world when we are a lot better than many African countries in terms of governance and upholding of human rights, among other things,” Dr Chiputa said. He said the ranking speaks volumes of the country’s conducive investment climate. “We Zambians must have confidence in our economy and our leaders that things will get better. Measures have been put in place to address the economic challenges being faced,” Dr Chiputa said. And Zambians for Empowerment and Development leader Frederick Mutesa said the Forbes’ ranking means that the country has a good climate for foreign direct investment (FDI). He said this is despite the country’s ranking falling from third position in 2014 to seventh this year. “We should be proud of the ranking and endeavour to maintain the status because it is good for the country as a whole,” Dr Mutesa said. He, however, said Government should support the ranking with appropriate policies and consistency in policy direction to attract more foreign investments as well as local ones. “Otherwise in a year that has been characterised by gloom and doom, Forbes’ ranking reminds us of the potential the country still possesses which can be used to our advantage,” he said. Mr Mutesa said going forward in 2016, the country should endeavour to improve the 2015 ranking and stakeholders such as civil society organisations, media, political parties and Government are also required to play a part. Tread with care! If it is the wholesome capitalism without benefit to the citizenry which has put us in that position then there is nothing to be proud about. Other countries could be lowly ranked, but with excellent policies which are of long term benefit to their countries. This is contrary to what hh is telling the world. HH and his worshippers be patriotic. Blessed is the land of peace. Not amuzing because my Zambia is an oasis of peace, a model of constitutional democracy, melting pot of diversity, a reformist society and openess of course she is not short of political theatrics of comedians and messianic dreamers. Big congrats mother Zambia! You got our money coming. Let political demagoguery enjoy the space of free speech and dreaming. What happened? Zambia was ranked second and at one time first! When and how did we get to number 7? Check 2010 versions of Forbes! That was 2010. And this is 2015. Seasons change, nothing stays the same and economics go through fluctuations. Don’t tell me you are the same age you was in 2010. Bee Esi. You are a fool! this is commendable. Nothing at the moment will satisfy you that Government does. Live with it. Its Edgar Lungu 2016! Where is the link for this ranking, it’s like African countries are blowing a trumpet from bad news. Please show us the original forbes article link. Really disappointed in a small way because we lost ground. We were in third place last year on the continent and we went 4 steps backward and that in corporate terms means we lost market value and/or market share. Next year won’t be easy either due to elections but we are Zambians for crying out loud! We have done it before and we can do it yet again. So, nothing to celebrate here. It’s time to reflect and ask ourselves what went wrong? The smart people of the Zambian Enterprise don’t play second fickle. It’s the best or nothing, we are the best and our time is now! Happy New Year to all bloggers at home and beyond. Ranking is usually an opinion based on certain parameters. It does not always translate into actual performance. In 2012, the Zambia National team was ranked 14th in Africa but went on to lift the Africa Cup. The following year, despite being ranked first, were eliminated in the first round. The question is what are we doing to benefit from the favourable ranking? Secondly we need to ask ourselves why we have fallen from 3rd to seventh? Is it not the policy inconsistencies, political intolerance, currency instability, high energy costs etc. These are the issues that HH and UPND are talking about. You cannot be happy when you drop from number 1 to number 10 in class. . My dad was very angry when i dropped to number 5 in grade 7 term 1. PF please, give us a break. Not amuzing because my Zambia is an oasis of peace, a model of constitutional democracy, melting pot of diversity, a reformist society and openess of course not short of political theatrics of comedians aND messianic dreamers. Big congrats mother Zambia. You got our money coming. You seem to be in overdrive? But Zambia was ranked number 2 in 2010. How did we get to number 7? mmmm some party will now accuse FORBES of being a PF vuvuzela lol.Am sure they will chock with envy at this BEAUTIFUL piece of news about mother Zambia. lol ba Lusaka Times, why don’t you also report that the Forbes survey takes a 10 year period which coincides with MMD period of growth ? PF is less than five years in power and has done but decelerate growth . please read the whole Forbes report objectively. Honestly guys why do you always wish and cherish something bad about your country. Bane sure even something good is not to you. If it was bad news you wouldn’t have talked about objectivity – i fail to understand you guys. why is everything going left for hh? he goes and tells people in copperbelt he will bring aglo-america to take over the mines, days later reports come saying anglo is cutting jobs. second time tells the world zambia is not good for investment now it has been ranked in 7 best country to invest in in africa.. just wondering. It’s means – thats a signal for HH that he is not going to State House. He may be a good business man, but the Blessing to be president has passed him. Everything about the mines is going against him. Because of how he advised the Chiluba to privatise the mines at very cheap away price. And he was the big beneficiary. So the Ghost is haunting him. HH thinks by wishing Zambia fail, he will get to power. You can see his followers who blog. Everyone of them have complete negative perception about Zambia. It’s really SAD. I just flew from the Zambia & Copperbelt in particular. The miners are waiting to teach him a lesson for playing into their minds. Frankly speaking HH is a bully who uses his money to run UPND. Why has he failed to go a convention all these years. Why quote the highly unknown the Forbes Ranking? Why haven’t these so-called academics who are familiar with the business environment ranking literature are not referenced the more established World Bank’s Doing Business Reports and how Zambia has performed on the doing business index over the last two decades? Another attempt by Zambians to divert from the real issues! It’s a fact that Transparency International has just ranked Zambia the 14th most corrupt country on the planet in 2015. Clearly the growth Forbes reported happened during the MMD rule. Now that is a bitter pill for PF cadres but not my fault. That ranking by Transparent International was influenced by your brother Habasonda who sent the data to the international body he is representing here in Zambia. Shame as a way of discrediting Lungus gvt. Nobody is talking about why zambia dropped from 3rd to 7th. Now anyone with money send their children to school in malaysia, shop in dubai, go to church in nigeria. What best destination? We all love our country but politics of mediocrity is killing it. Let’s just rethink the whole project zambia, praising ourselves for crumbs won’t cut. So if Zambia was even at no. 3 what has been all these campaigning from the Bitter Club by their bitter under 5 leader? This Forbes statement is detached from reality: Power shortages, unstable kwacha, changing policies, corruption, etc have affected business adversely. The consequence has been that running business in Zambia has been extremely challenging – ask any business man, sales have dropped, especially in the last few months! This statement is highly debatable! Forbes have lied! Mediocrity looked in another way can be deemed ok performance. This rates the caliber of the assessor. HH shall never ever repeat the Anglo American fak up. In fact he might not even come to CB again..mark my word. When you talk about MMD, nearly everyone in MMD is PF including the chief architects like the Katele and late Michael. Give credit where its due. Sometimes we should not pay attention to ‘prophets of doom’ who are only good at seeking the negative side of any deal while turning a blind eye on the positive side. Its their inborn weakness which is not worth following. Progress starts with you. What a bunch of comedians!!! Do you brain washed optimist know what is “Forbes”? Definitely not, because if you knew, you will keep mum. Grabbing proverbial “straw” to find justification for economic mismanagement and incompetence? @ monde, please stick to your “cob of maize, leave investment trend and ratings to people with functional brain. Unfortunately, you are well below that level. Civilisation and Expocial thus what lacks most the self claimed opposition party leaders just like their cadres , especially the miners liquidators, privatisation dodgy economists consultants who acquired their wealth dubiously. They criticise and politicise anything in the name of checks and balances. It simply means some tycoon can come and buy the country at a cheap price as it is on its knees. With £100 a tourist from Cambridge can come and enjoy wine for a whole month and dine in our tuntemba restaurants for a long time. With the depreciation of the kwacha it is more affordable to employ and exploit local labour by a foreign investor who earns their money in major forex not kwacha. But for an investor whose income is in kwacha while a significant proportion of expenditure is forex based for import of materials, it is not as lekker. Do the Maths and tell me how if you disagree. The point people are making here is that there was going to be a lot of Cerebration in the under 5 tribal party if forbes was going to rate Zambia 54th in Africa. Now that they have rated Zambia better the Bitter Club is going to find means and ways to discredit forbes rating. That is what most voters here are saying. Why do you Zambians celebrate mediocrity?? The Forbes report says Zambia has dropped from previous rank third to now seventh & you all happy celebrating?? One wonders whether it’s English you struggling with or its the love of the number seven that’s amusing! Only interlectuals can read between the line & make statements to the fact that we are not as good as before as a great direct investment destination. In simple maths three is better than seven. To drop to seven means something negative had happened in between. Painful but truthful. And why does the Bitter Club celebrate whenever something bad happen to Zambia? When zed is well ranked upnd feels very bad . Say gud about catholics ha sorry kachipusumuka fye i meant chalo chesu. Its like talking bad things about yo wife / husband to outsiders. Lets put it into context. Think of it this way….Country A has K1,000,000 GDP and country B has K 100 GDP. Country A is growing at 5%, this will mean the following year its GDP will increase by K50,000. lets consider Country B now growing at 7% rate, it GDP the following year will increase by K7. What’s the point here? These percentage comparisons of growth rates of different countries do not make economic sense. Absolute values may be more meanifull or better still find another meansure. WE ARE YET TO SEE ANOTHER DRAMMER IN THE BEMBA KINGSHI AFTER ELECTIONS. BASHILUBEMBA HAS JUST DRAGGED HIMSELF INTO THE POLITICAL DEBATES. If you say Zambia was 3 in MMD what did we achiev as local Zambians? pot holes. we are 7 with new roads,schools,hospitals,HEP stations. Lets go lungu lets gooooooo. Forbes ranks Zambia 7th best country for doing business in Africa. Say no more! Being highly ranked as country to do business in, doesn’t necessarily mean your citizens are well off. It may all be ‘exploitative’ business or only potential. 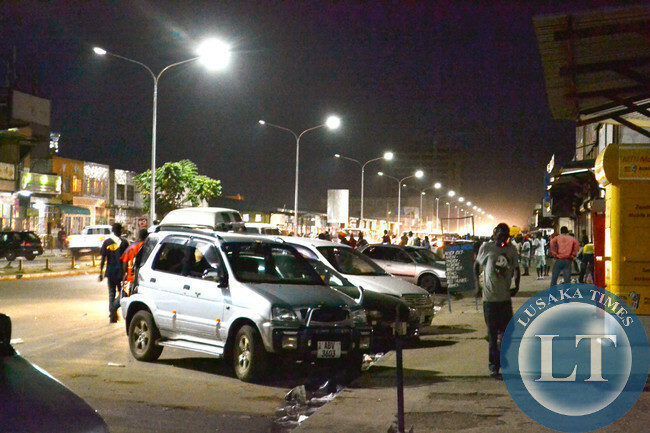 Zambia is ranked 73rd globally – which is ahead of China and other richer countries. A good number of countries that Zambia is ranked higher than, have much more disposable income for most of their ‘ordinary’ citizens. So stop ‘ululating’ until this ‘wealth’ or potential wealth actually trickles down to those who need it most. Forbes has gauged the business friendliness of the world’s biggest economies annually the past 10 years. Denmark ranks on top for a second straight year and sixth time overall. We determined the Best Countries for Business by grading 144 nations on 11 different factors: property rights, innovation, taxes, technology, corruption, freedom (personal, trade and monetary), red tape, investor protection and stock market performance. Each category was equally weighted. We only included countries with data across at least eight categories. Denmark ranked among the top 20 countries in 10 of the 11 categories we measured. This is totally false revelation. At Zambia Wildlife Authority-ZAWA, for one to get a licence to build a lodge in a national park it takes not less than a year. ZAWA is too corrupt at top management such that an investor will be toyed around for fake and unproductive appointments until all the money he had would end up paying with few greed officers. ZEMA on one hand will just finish you off with a lot of excuses and too much demand and they also take one year to come to your site for inspection. Kikikiki, tell Zambians that they are leading in something (doesn’t matter what) and some will be jumping with joy! You only have one life, which is here and now, and if you do not have the basics such as a job that will cater for needs of your family, access to health services as well as access to well managed community services, you have no reason to jump for joy with this ranking. It makes the politicians look good and yet you and I know that nothing functions well in mother Zambia. Pure hogwash Forbes country rankings done blindly. No reliable power ,unpredictable PF tax changes and all the global companies have either set up regional hubs in either Kenya or ZA than zambia.So how exactly is Zed a good place to do business? Nobody seems to have noticed that this ranking while not the best is due to progressive steps made under previous governments, which the current stock is undermining through blatant violation of human rights and economic imprudence. I hope Zambians can stay objective and awake…if that’s not too much to aks! Actually it has dropped last year the country was at number four (4) in Africa and now number 7 and in the world it was on number 70 number it is on number 73 so country men and women the graph is dropping there is nothing to boast off do your research properly before you realize that you are praising your nakedness. Cheap minds. Instead of offering solutions you waste your breath condemning the leadership. You will never see great things in this country untill the day you will be delivered from the mediocrity of condemning the government of the day even if you did not vote for them. Wake up from your slumber and do the right thing. Zambia is greater than your minute egoes and selfish interests that just want to see a particular face in state house. Tamwakaipule plot one.